Can I be a Christian and not a church member? I can serve God without being an active member of a local church. I can be a Christian without attending church. I can worship God just as well from my deer stand (fishing boat, ball park, etc.) as I can from a church pew. Ever heard any of these things said before? Maybe you’ve even said them yourself. If we are honest I think we would all have to admit that at some point in our lives we have felt this way. Even if we don’t verbally express feelings such as these we demonstrate with our actions that, in reality, we have a low view of church membership. We show this by our lack of attendance, by our lack of fellowship with other members of the faith family, by our lack of being engaged. So I guess the question is, can I truly be a Christian and not be an active, engaged member of a local body of believers? The first thing we have to realize is the Bible knows nothing of isolated Christianity. In the Old Testament, we see Israel living as a community, not isolated individuals. The New Testament shows the same thing as it pertains to the church; everything is in relation to a faith community not individualism. There are circumstances of forced separation such as exiles or imprisonments but those are not the norm. In the book of Acts we see believers gathered together sharing meals and possessions, praying together, hearing and sharing the gospel, simply living life together. Anytime the gospel was preached in a new city and people believed a church soon formed. It seems that scripture teaches the Holy Spirit guided inclination of a believer should be to gather with other believers. I have to wonder if this is the inclination of our hearts. If it’s not then I think we need to ask ourselves if we are living in sin. Do we desire to gather with other believers? In Psalm 16 David states that he delights in the holy people of the land. How do we delight in people we are not around? There are at least 59 “one another” commands in the New Testament (Mark 9:50; John 13:34; Romans 15:14; Galatians 5:13; etc.). How do we carry out these commands if we isolate ourselves from the faith family? 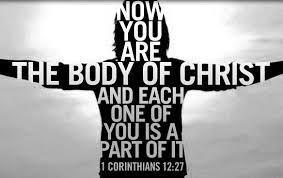 The church is described as the body of Christ (1 Corinthians 12:27). In order for a body to function efficiently it must have all of its parts and it must be healthy. A body can function with only one lung, but it works more efficiently with two. The church is for our benefit. We are told to carry one another’s burdens (Galatians 6:2) and to restore a brother who is in sin (Galatians 6:1). It is often through the context of the church that we receive help with burdens, are convicted of sin, are held accountable for our words and deeds, and are kept from temptation. We cannot experience any of these benefits if we have removed ourselves from the church! Just as an animal separated from the herd is more vulnerable to attack, so the Christian separated from the church is more vulnerable to spiritual attack. The church is for our benefit and ultimately for God’s glory. The church is the primary vehicle through which the gospel will be taken to the nations. The church is the body and bride of Christ, let us treat it as such! Can I truly be a Christian and not be an active, engaged member of a local body of believers? Technically, yes. In the same since that a hand severed from the body is still a hand. My question is, why would you want to?